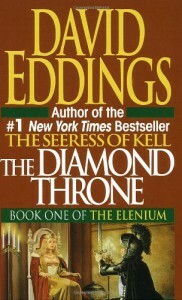 The Diamond Throne - David Eddings - review - Level up! A reread of what is possibly my favorite fantasy series by my favorite fantasy author. Eddings has his faults -- over description of the weather, a tendency to write himself into deus ex machina, and some overreliance on racial prejudices which would be truly awful if we weren't talking about fictional races here (you know-- the whole Tolkien all-orcs-are-evil trope). plus I love to hate Annias, Martel, Adus, and Krager as well. What I did not remember was the level of adult content in these books-- nothing shocking, but don't expect me to introduce this to my 9-year-old who is devouring Harry Potter just yet. 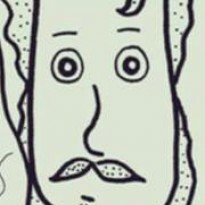 Anyways, don't expect anything beyond pure gushing from me over this series. It's like coming home to an old familiar friend. I am SO enjoying this.